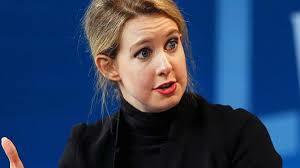 Theranos has received yet another to the head, following last month’s painful slap in the face from Walgreens. As of next Tuesday, they’re going to start paying fines of $10,000 per day per outstanding violation. As of September, Elizabeth Holmes will no longer be allowed to run the company that was built on the cult of her personality. But what I really want to know is, who the heck is still doing business with that company? I cannot imagine any doctor, of any specialty, who can still be willing to continue submitting specimens to Theranos to perform lab tests. Perhaps Theranos is not performing new tests that are of any consequence to patients, but its investors are complicit in keeping this charade alive any longer. When a founder is so obstinate and reckless that the government threatens to take action, the board should do what’s right to protect what’s left of the company. For all the jokes that people like to make about government incompetence, the regulator found enough fodder to fill 33 pages in their denouncement of Theranos’ continued failings. Of course, everyone believes in due process, but how many individuals would be given so many chances for so long, in their regular jobs? According to page 3 of the regulator’s letter, Theranos could not even manage to present patient information in a sensible manner. They submitted patient information across several flash drives, and there was not even a way to just search by a criterium as basic as a patient’s name. Hello? Ever heard of an Excel spreadsheet? On page 7, it says that there was no record of quality control procedures until 2014, 9 years after this company started doing business! Even the record of staff training was sketchy. By the time you further read that there were no repeatable patterns on either side of what’s considered the normal range of values, can you really be surprised? For the sake of everyone who has ever been or will be a patient needing a blood test, we must bring pressure to bear against egregious practices like these.